Posted February 13, 2019 at 11:20 pm . 1 comment. 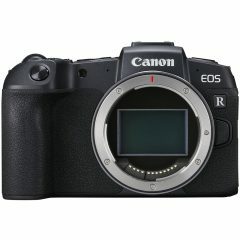 The full-frame mirrorless EOS RP, was announced just now! The absolute best feature of this camera is the price: at only $1299 including a free EF-EOS R mount adapter and an extension grip, this is an amazing price point. It features a 26.2 mp CMOS sensor, DIGIC 8, 5 FPS, 4K recording, and weighs only 440 grams. Preorder for an end-of-February ship-out! You can also watch the Canon USA launch video. Wondering will there be street price on these deal anytime soon?